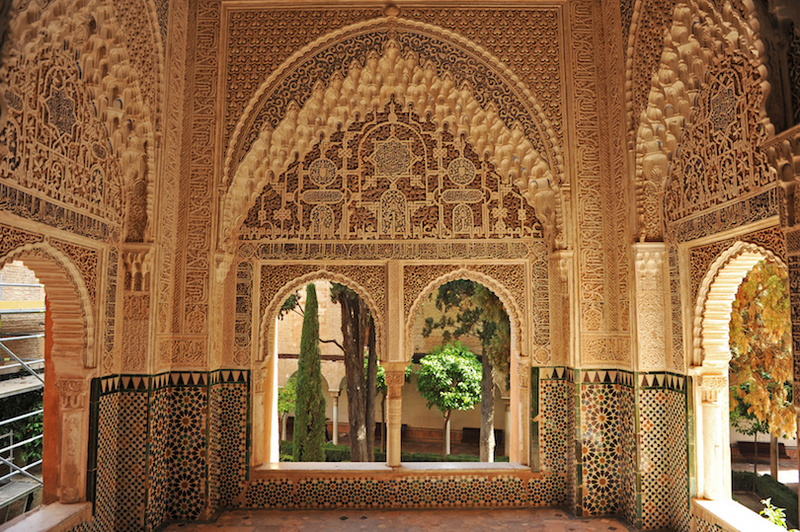 Spain evokes images of castanets and flamenco dancers, tapas and late night dinners, and the Alhambra in the moonlight. 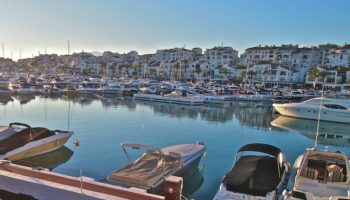 What wonderful memories you’ll create in this historic piece of real estate on the Iberian Peninsula! 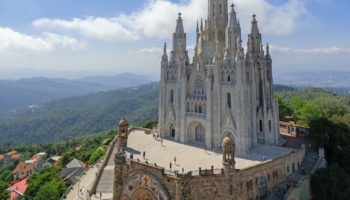 If you’re under time constraints, two weeks in Spain is enough time to allow you to absorb the history, delights and treasures of this Mediterranean country. 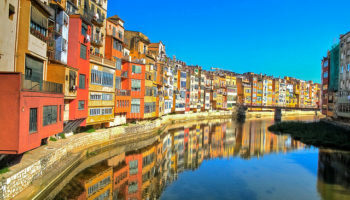 Of course, you’ll want to visit cities in different regions to give you a broad sampling of what Spain has to offer. Can’t see all of Spain in two weeks? Not to worry; this is one country that will definitely charm you into a return visit. 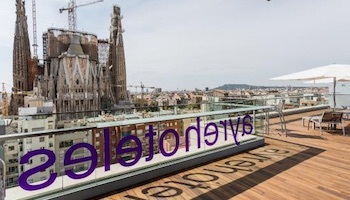 We start our 2 weeks in Spain in Barcelona, the ancient city on the Mediterranean Sea that has strong ties to the art world through Picasso and Miro. It’s famous for its architecture from Roman to medieval to Catalan. Just pick a location and start walking; you never know what you’ll come across. The city’s old quarter is filled with these centuries-old buildings. 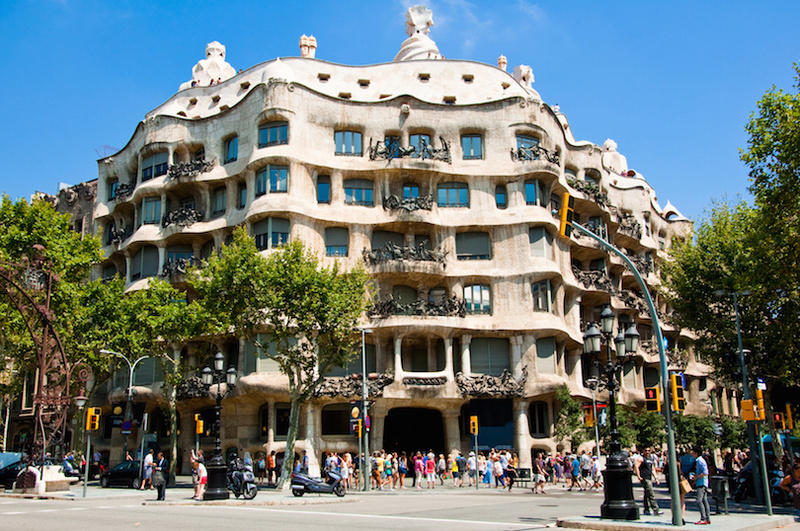 Examples of architect Anton Gaudi’s works can be found throughout the city, including Parc Guell and Casa Mila. La Rambla is the city’s famous shopping, dining and entertainment street. For a refreshing break, build a little sun bathing time on the beach into your schedule. 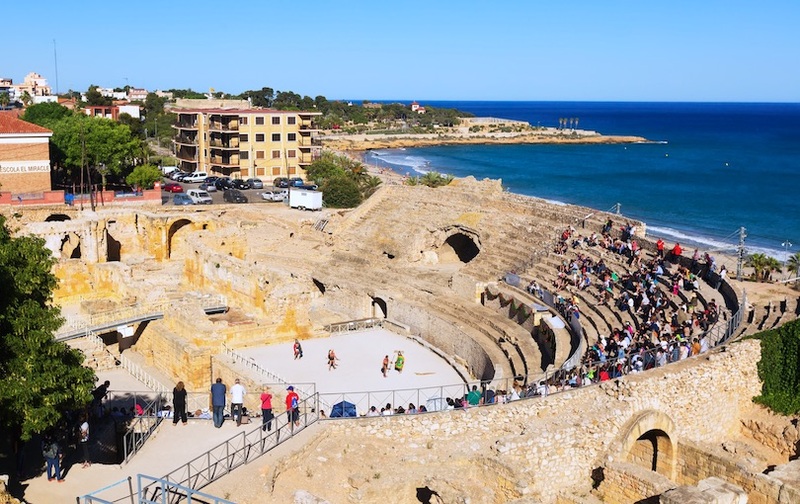 Valencia, Spain’s third largest city, was founded by the Romans more than 2,100 years ago, but this past has given way to more modern things. This includes the architectural wonder called the City of Arts and Sciences, home to Europe’s largest aquarium. Another must-see in Valencia is the Barrio del Carmen, a collection of medieval buildings that line cobblestone streets between the Islam and Christian walls. Pick up fixings for a picnic lunch at the Mercado Central, said to be Europe’s longest running market. It has more than 1,000 stalls offering foods of all kinds, souvenirs and the like. Enjoy your purchases while strolling or biking through the Turia Gardens. 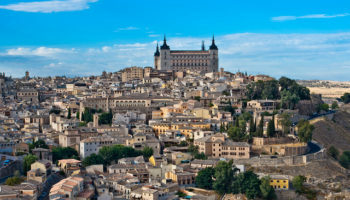 Before leaving home, you may want to go into training for your visit to Toledo, a famous medieval city built atop and down a hill. Comfortable walking shoes are a must to navigate the narrow cobblestone streets that teem with Old World charm. 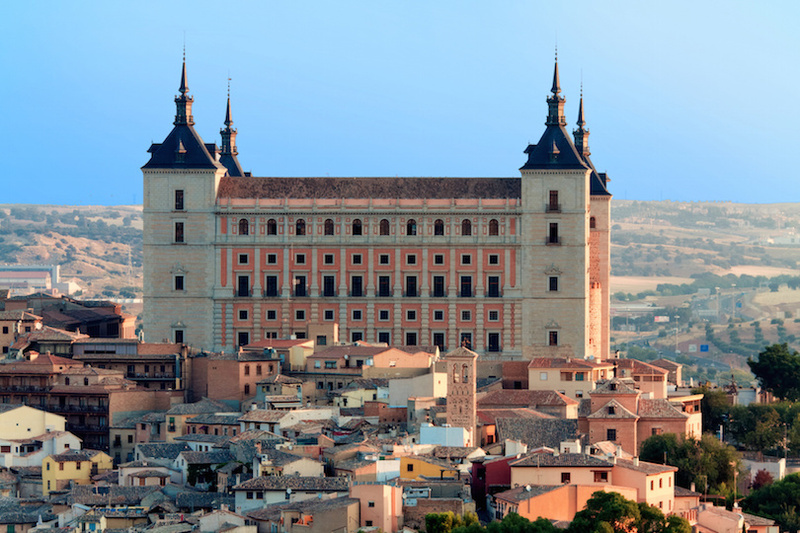 A must-see is the ornate 13th century Gothic Cathedral of Toledo with its 15 chapels and fabulous art, including paintings by El Greco and Velazquez. Another religious must-see is the Synagogue of El Transito, a 14th century building that is considered the finest Spanish-Jewish art in Spain. 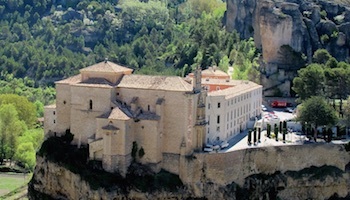 Over the centuries, it also served as a Catholic church and military headquarters, and is now a museum. Old Toledo overlooks the Tagus River, offering great views of New Toledo. The Alhambra is a huge fortress and castle complex that today is considered a love letter from the Moors to Spain. Its ethereal beauty makes it Granada’s No. 1 tourist attraction; indeed, it is one of Spain’s top sights. You need to plan ahead to visit here, perhaps buying advance tickets over the Internet, since tickets are limited. 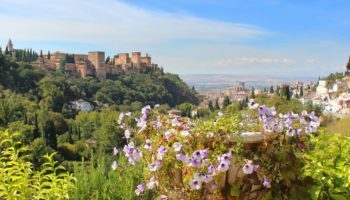 While you can easily spend all your time in Granada at the Alhambra, take the time to visit the gardens at Generalife, enjoy spectacular views of the Alhambra and Granada from the Mirador de San Nicolas, and take a break from touring with a cup of mint tea at a café. 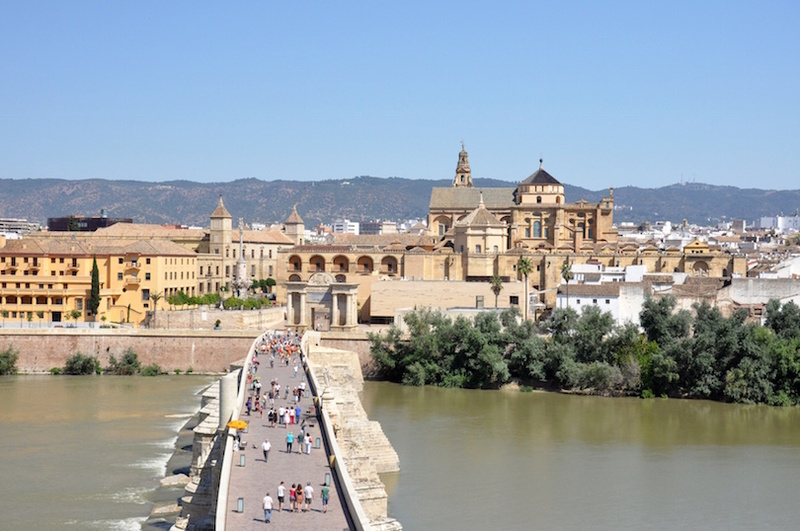 Inhabited since prehistoric times, Cordoba later became a blend of three cultures: Romans, Muslims and Christians, all of which left their mark on this Guadalquivir River city. 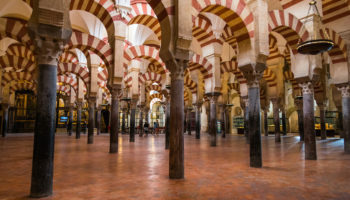 Nowhere in Cordoba is this more evident than in the huge Mosque-Cathedral of Cordoba, which was built as a mosque and became a Christian church in the 13th century. Note the 890 pillars in the interior of this church that is almost as big as St. Peter’s in Rome. The old quarter, with its picturesque streets lined with medieval buildings, is also worth a visit during your break from traveling to Seville from Granada. 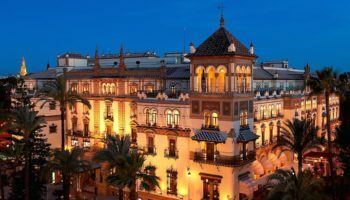 Though it’s located 80 km (50 miles) from the Atlantic Ocean, Seville has the distinction of being the only river port city in the country. This Guadalquivir River city has a history filled with Moorish conquests and Jewish pogroms; Miguel de Cervantes, who penned Don Quixote, was imprisoned here. 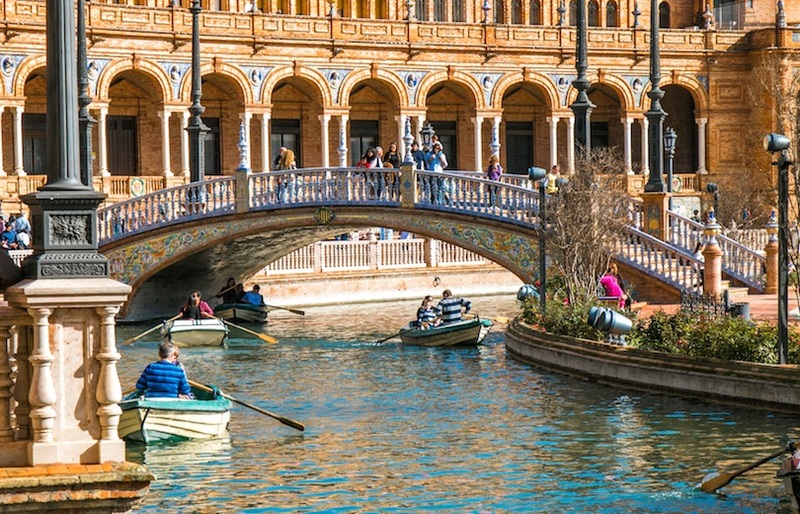 The city is filled with fascinating architecture, from the Alcazar de Seville, a Moorish-Renaissance Palace, to the Gothic Seville Cathedral with its iconic bell tower to the Metropol Parasol, a uniquely designed wooden sculpture that resembles a mushroom. 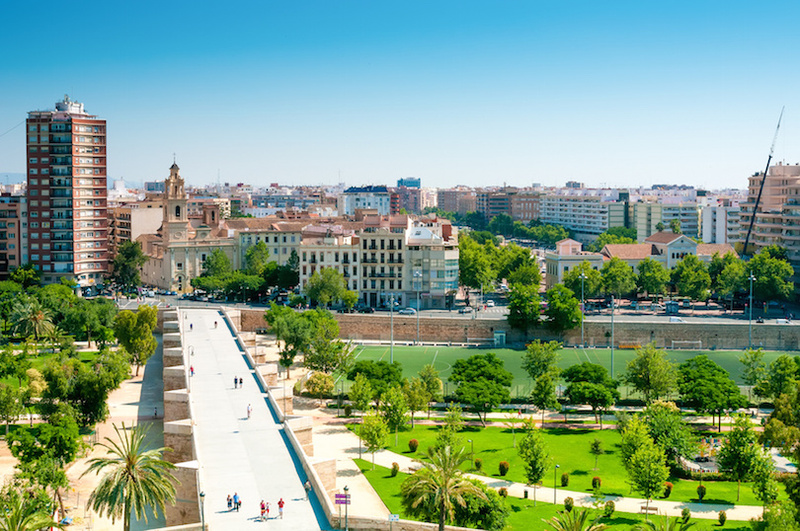 Relax on a horse-drawn carriage ride through Maria Luisa Park on the Guadalquivir River. Try to be in Madrid on a Sunday morning so you can shop at its world-famous flea market, El Rastro, that is spread out over several blocks. After you’ve grabbed up the best bargains, do what the Madrileños do on Sunday: stroll through the peaceful El Retiro park. The Prado, a world-famous art museum, is a must-do to see paintings by great Spanish painters, including Velazquez. 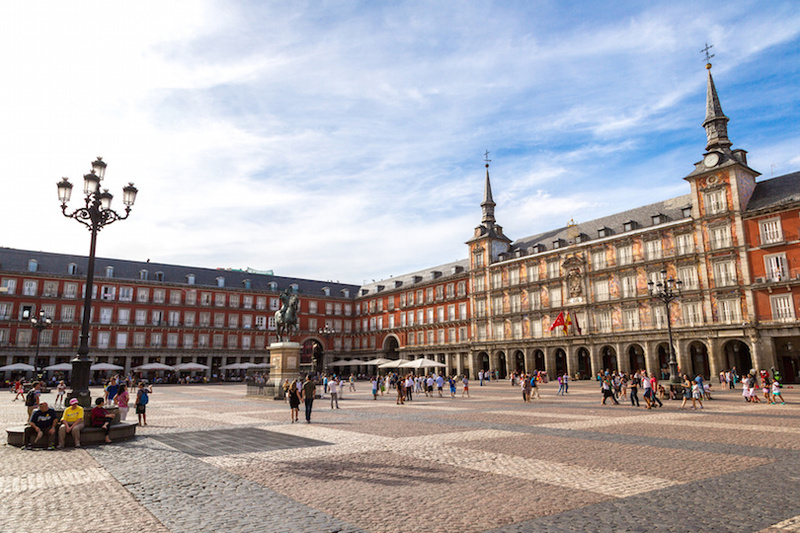 See how the Spanish royals lived by visiting the sumptuous Royal Palace. Plus, you can’t leave Madrid without having churros y chocolate, a sweet cinnamon pastry stick that is dipped in pudding-like hot chocolate. People watch at one of Madrid’s main squares, the Plaza Mayor or Puerto del Sol. While it may be hard to pull yourself away from Madrid, a day trip to Segovia will make it worth your while. You can decide for yourself if the city was, as legend has it, founded by either Hercules or the son of Noah. 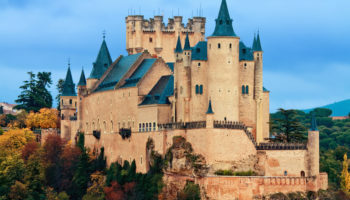 Fans of Disney’s Sleeping Beauty will want to visit the Alcazar, the castle which is said to be the model for her castle at Disneyland. 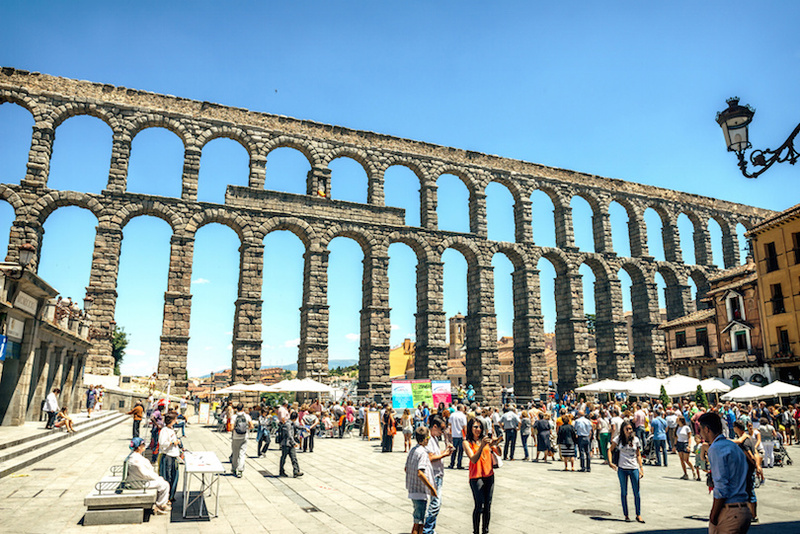 Segovia, however, is perhaps most famous for its majestic Roman aqueduct that today exists within a more modern city. Wander the narrow streets of Segovia’s beautiful, but small, old town, picking out a café where you can to sample the city’s specialty, suckling pig. How do you get from one place to another?